“People and their development has always been my passion – I love the diversity of what people bring to an organization, from their thinking and their approach to solving problems. It is the diversity of the debates and discussions that gets me thinking about how I can work with them to create sustainable solutions. This has always been my philosophy in terms of how I manage the HR function and partner with the broader organization to deliver on business results,” says BASF Head of HR Market Area Africa, Sharmila Govind. 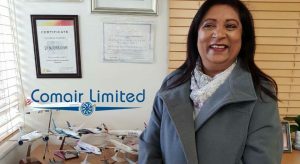 Sharmila has completed a BA in Social Sciences, majoring in Psychology and Sociology and an Honours degree in Sociology through the University of KwaZulu-Natal and an MBA through the University of Wales, Cardiff. She has always been interested in societies, how they operate and the impact she can have on them. Aligned to these interests, she started her career as a Social Policy Researcher. “I was very interested in the link between corporates and society and the bigger role that corporates should play in building a better society,” she explains. Sharmila has a natural curiosity for business. Her break into the corporate world came when she accepted a position at Liberty Life; this was the start of a seventeen-year career in the financial services, and a career, which has spanned South Africa, Africa and Europe. While at Liberty she did a lot of research on HR benchmarking and put together their Balanced Score Card, which was “a big thing at the time.” She later moved into the position of junior HR business partner and then HR Business Partner. Her next career move was into corporate and investment banking: “It was the glory days of investment banking. Investment banking was everyone’s preferred career choice. It was a very exciting time to be working for ABN AMRO, particularly when the bank made front page news in the Business Day and the Financial Times for its role in big deals, mergers, and acquisitions,” she recalls. One of her career highlights at the time was being selected as one of twelve high potential people in the banking sector in South Africa and being chosen for the prestigious Bankseta’s Executive Leadership Development Programme. While on the programme, she was transferred to Amsterdam. “It was quite an achievement for someone of my age. 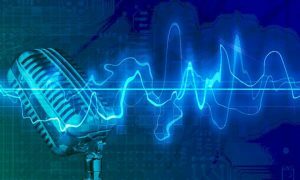 You realize that through these processes you can make an impact in conversations that you have and in terms of wanting to know more about the business,” she observes. She did a lot of work in HR but started working closely with the executive team. They told her they liked her thinking and how she worked and they wanted her to move to the business side. “It was a great acknowledgment and recognition of who I am as a person, my abilities and what my contribution could be to the wider organization,” she reveals. The Royal Bank of Scotland Group, the Santander Group, and Fortis acquired ABN AMRO in 2007. “I was in the eye of the storm. Part of my work was the separation of this big bank into which parts were going to move into Royal Bank of Scotland, which was still considered wholesale banking. I worked on client optimization projects. I looked at revenue targets for relationship bankers, countries where we had a dual presence, and what was going to close and what was going to stay open. These decisions had an underpinning of HR, but you were looked at it very much from a business perspective,” she explains. Upon her return to South Africa, Sharmila worked at Citibank, the Standard Bank Group, and HSBC. However, after spending so many years in the financial services sector, it was time for a career change. She joined BASF as Head of HR Market Area Africa at BASF in September 2017. 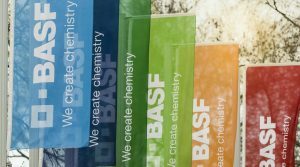 “What a wonderful change it has been to work for a company like BASF that touches the lives, of so many people every single day. We look at everything from the manufacturing of catalytic converters, to the production of paint, to work that goes into animal nutrition, to agricultural products, to construction chemicals etc. 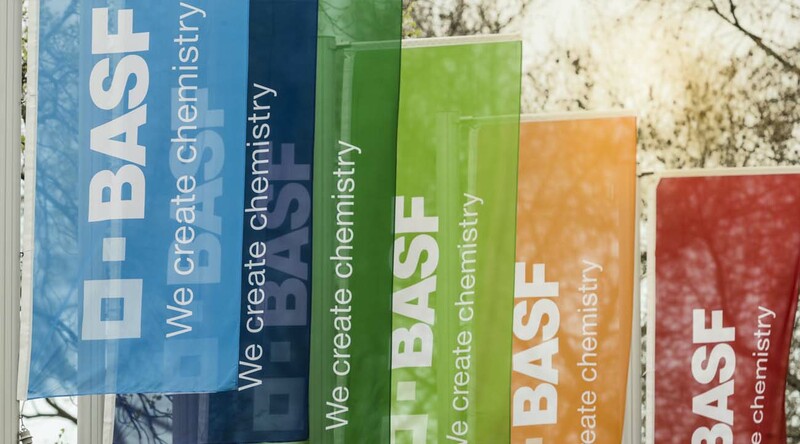 Each time you speak to the Business Heads and you try to understand what their business is I am awestruck by what BASF can do,” she informs. In addition to her role at BASF, Sharmila sits on the Board of the Institute of Bankers, member of an Academic Board as well as a Board Member of the Endangered Wildlife Trust. She enjoys traveling to different countries, exploring different cultures and people. Today, her twin boys aged two, are her passion outside the workplace. Carol has nineteen years’ experience as a professional writer, editor and case study writer. Her writing experience includes a stint as the resident Case Study Writer at the Wits Business School.